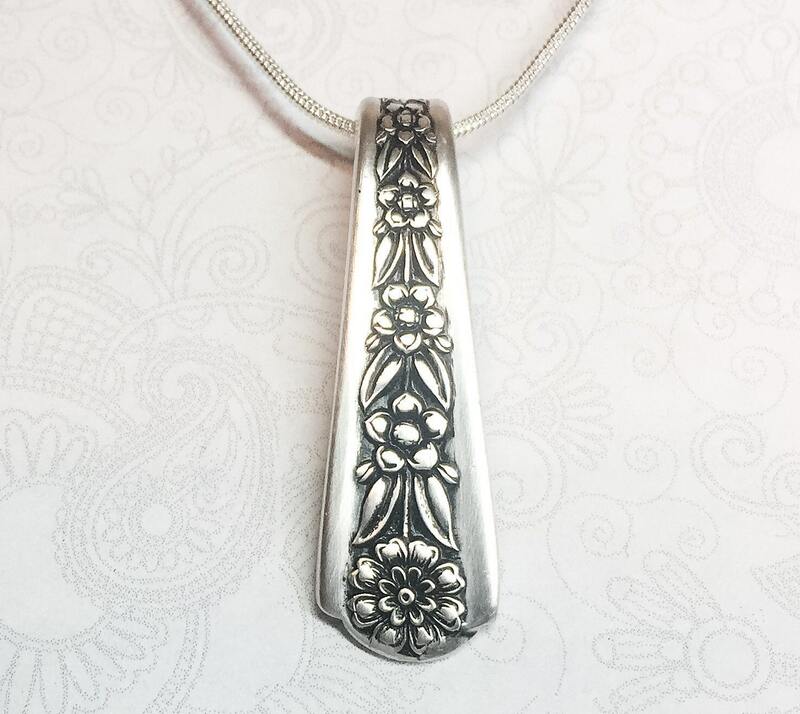 This cheerful spoon necklace was created from a vintage sterling plated bon bon spoon in the "Delight" pattern from 1950. The handles are smaller than a teaspoon, but it flaunts some big personality. It measures 1 1/2", and is shown on an 18" snake chain. If you'd like a different length chain, just choose your favorite length from the dropdown menu at checkout. 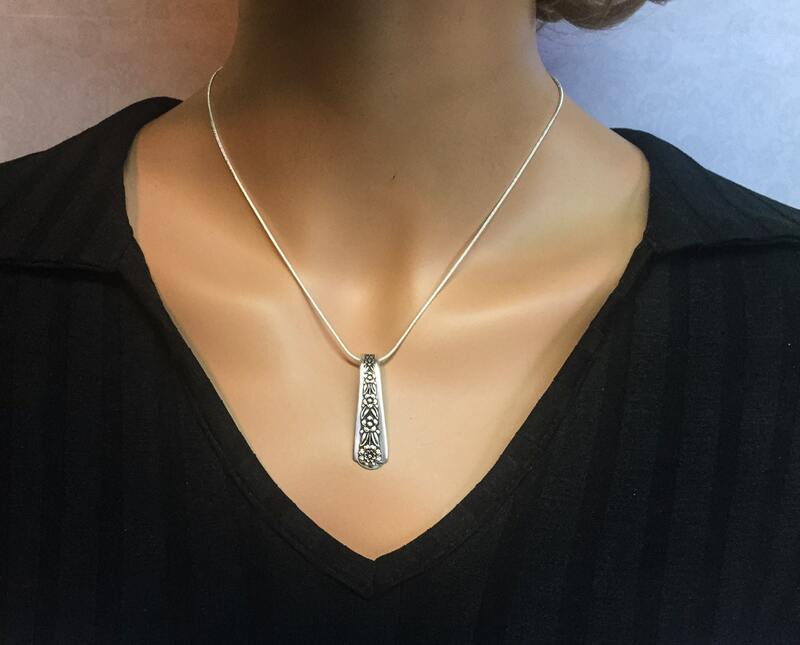 This 'delightful' spoon necklace will arrive packaged in a festive organza gift bag with a Spoonfest Jewelry story card, and name/age of the spoon. It's all ready to give as a gift to someone who appreciates vintage beauty, or keep all for yourself. Beautiful going to purchase another! Arrived very nicely packaged! 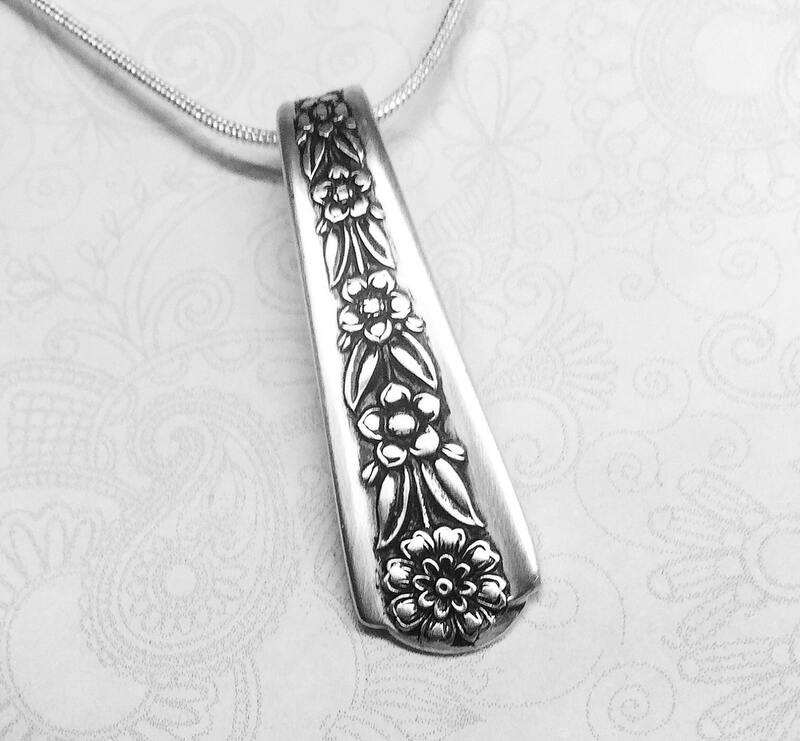 This pendant is much more beautiful than the picture! It is in excellent condition and the chain with it is beautiful too! I love this pattern and I put it on as soon as I got it! This is a wish come true! Thank you for your excellent work! 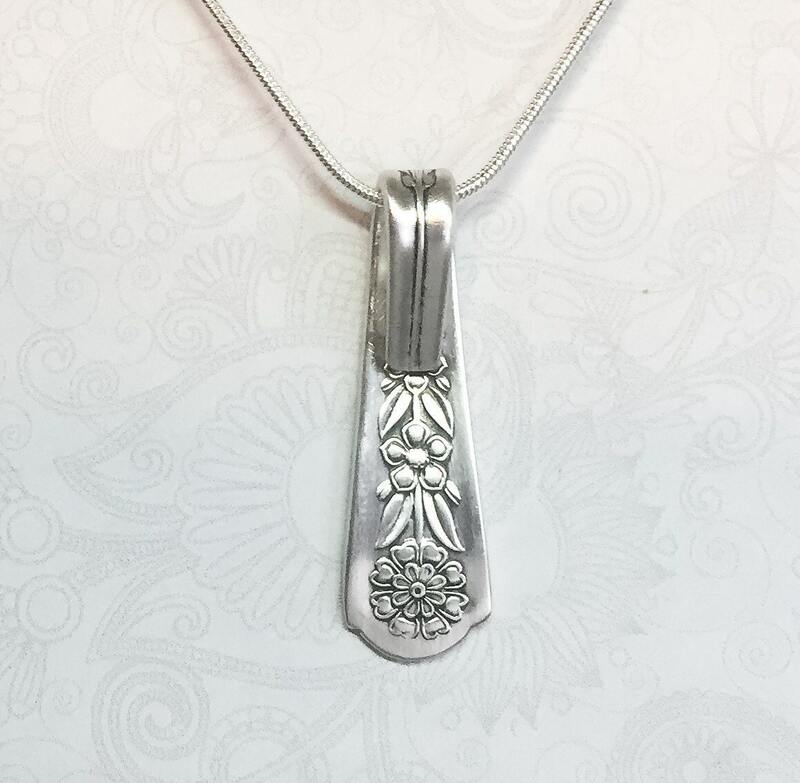 This is a lot nicer than other pendants like this on other sites! I definitely recommend this talented and excellent seller! Fast shipping, great communication, wonderful seller! 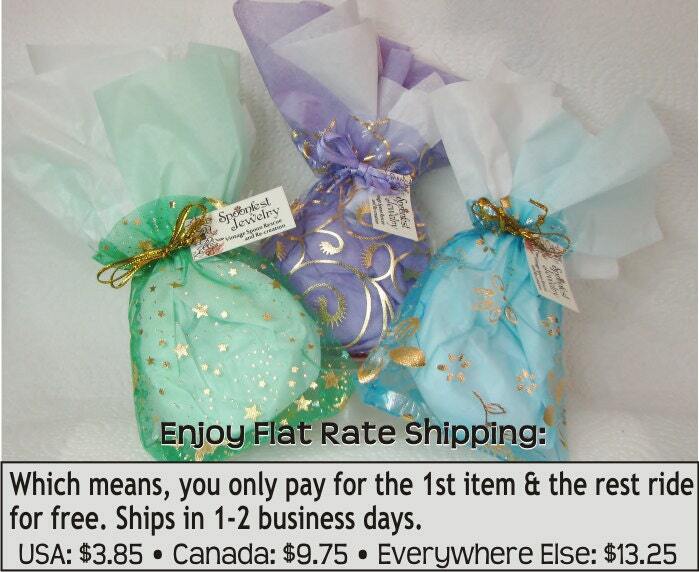 I ordered 3 spoon necklaces as gifts, and all of them were gorgeous and cutely packaged. My mother and aunts loved them!